Uri – The Surgical Strike is a true story about the surgical strikes made by Indian army in 2016 to eradicate the launch pads of militants on the Pakistani border areas. The movie revolves around the way the things panned out few days before the surgical strike which led to this much esteemed military operation. It gives a glimpse of how the planning was done at high level to counter the attack on Indian army soldiers in Uri . Frightening /violence scenes/intense scenes: Violence is there. Army operations and militancy scenes are shown. 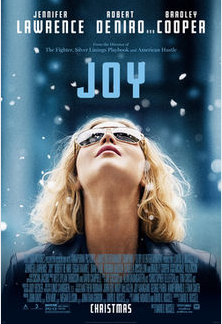 Joy is an inspiring biopic movie about the entrepreneur Joy Mangano. Joy’s is a divorced mother of two whose story starts with her family and revolves around it. She wants to do something for her family so that all the members of her family can live a comfortable and good life. She tries her best to be the nurturer for her family. She always has instinct of inventing something. One day while she is out with her family she accidently breaks the glasses. In an attempt to clear the mess she tries clean everything with a mop. But, gets hurt with a glass piece in this attempt. Coming back home she makes a blueprint of a self-wringing mop. She telemarkets this invention of hers and is successful in getting teleorders. She starts the production in full swing . As she is busy and ready to take the flight her grandmother whom she calls Mimi passes away due to old age and sickness. Mimi always had a lot of faith in Joy and her ideas. This is a great personnel loss to Joy . Meanwhile, her half sister looks after the business and attends a business meeting with the manufacturers on Joy’s behalf. Her sister makes a mistake of renegotiating the cost production with the suppliers that will take a heavy toll on the business if implemented. Joy goes back to meet the party to talk about this , but , is turned away. Moreover, during this meeting she finds that the party is trying to patent her designs. She tries to get back her designs but , is turned away on the account of tresspassing . She comes back home and tells everything about this to her family members . They suggest her to give up this fight as this will be a losing game and make her sign the bankruptcy papers. They make her feel very low about herself. Joy is deeply impacted by this and tells everybody to leave her alone for sometime. She wakes up all through the night upset over the turn of events and goes through all the papers .In the morning , Joy takes one last chance and goes to meet the people who have been trying to patent her designs and have let her business down by increasing the production cost. She negotiates very hard . This is a Do or Die situation for her . Finally, she comes out successfully. She is not only successful in taking back her designs but, also the royalty she paid them for her own designs. She at this step doesn’t know where this step would lead her to. This one chance changed everything for her and her business. She completes all the orders and from here her journey starts. She never looks back after this and grows into a very successful entrepreneur who going forward helps many people in like her who are first time entrepreneurs and want to achieve something in life. Dangal is a true story about the making of two Indian Women Wrestlers , Geeta Phogat and Babita Kumari from a small village in Haryana , India. Their father , Mahavir Singh Phogat himself being a National Champion in Wrestling always dreamed to get a gold medal for India in the International Arena but, could not pursue wrestling due to financial constraints of the family. He wished to have a son who could fulfil his dream of getting a gold medal for India in wrestling. His dream of having a son was dashed as his wife gave birth to two beautiful daughters. One day he saw some parents waiting for him in his house . On enquiring it was found that they had come to his home to complain him about his daughters, who had beaten their son black and blue . Seeing this Phogat becomes exited and realises that he doesn’t need a son to fulfil his dream getting gold medal for India in International Wrestling He starts training his daughters very hard and finally they move on to become National Champions in Wrestling. They are sent to National Sports Authority for further training where they train under a new coach who is not as great and committed as their father. Geeta for sometime loses her focus and doesn’t follow the discipline required in sports. As a result she starts losing in International Arena. With the losing streaks, she starts losing her confidence and starts doubting her capabilities. She talks to her father about this .Seeing his daughter in this situation Phogat takes room on rent near NSA for training his daughters. The two sisters move out of the National Sports Authority campus daily without permission to train under their father. But, soon this comes to the notice of the coach and the duo are required to give an explanation. Warning is issued to Phogat and he is told to not come inside NSA premises. He is unable to train his daughters but, doesn’t give up . He finds a way to train them remotely by watching their videos and instructing them on mobile phone. Finally , Geeta Phogat is able to get the gold medal for India in wrestling in Common Wealth Games 2010 against the hopes of everybody. •	Where there is Will there is a Way. Lack of means cannot stop oneself to achieve one’s Dreams. Neerja is a movie based on true story of heroism of Head Purser Neerja Bhanot , who foiled the plan of plane hijack and subsequently saved the lives of most of the passengers on Pan Am Flight 73 in Karachi on 5 September , 1986 . Neerja was shot dead by terrorist while saving the lives of three children onboard . Frightening /violence scenes/intense scenes: Violence is there . Brutal Killing of onboard passengers by the terrorists is shown. Airlift is a true story of survival of above one lakh Indian people in the war zone in Kuwait , when Kuwait was occupied by Iraq under the rule of Saddam Hussain . The survival of the Indian citizens and their return to the motherland India , is credited to the heroic efforts of Ranjit Katyal (Akshay Kumar) . Ranjit Katyal proved to be a messiah for all these people in the war zone. This movie is capable of arousing the feelings of patriotism in oneself and shows how circumstances can lead to a personal transformation as in case of Ranjit Katyal, from a ruthless businessman to a messiah of the survivors. Manjhi is a biopic on a man named Manjhi ,also known as the Mountain Man,who lived in a small village of Gehlaur village, near Gaya in Bihar, India . The people of this village lived in hardships as the village was not well connected to any major town . To avail basic health facilities they were required to cross the mountainous terrain. This man named Manjhi was very much in love with his wife . His wife lost her life by falling off this big hill while trying to cross it. After this great loss Manjhi decided to cut the mountain and make a path so that people of his village can avail the basic facilities. He approached authorities as well as people , but, no one supported his CAUSE. So, he started this tedious work of making THE PATH all by himself. For 22 years he did this work single handedly and was finally able to make this path. 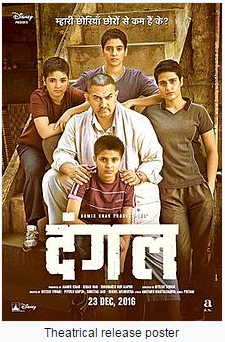 This movie is about determination of a person for a cause. Platinum Remarks: The message is delivered well but, certain scenes could be avoided so that parents feel more comfortable while watching the movie with children. 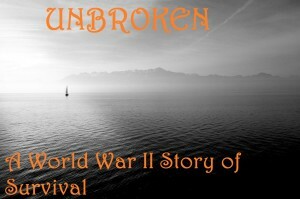 Unbroken is a movie about Louis “Louie” Zamperini, an Olympic Athlete and a War Hero. Movie has two parts to show. First is the making of the Athlete Louis “Louie” Zamperini and the second one is his life as a War Hero. He survived in Pacific Ocean in a raft for 47 days, after their fighter plane crashed in the ocean, before being caught by Japanese army as a prisoner of War. He showed resilience and did not give in to Japanese pressure to make false statements on the radio going against his country and his conscience. He suffered quietly at times for saving his fellow prisoners from atrocities. Later in life , after the war ended and he was released along with other prisoners of war , he held the feelings of animosity and anger against his captors for few years. Soon he realized that holding onto negative feelings doesn’t lead anybody anywhere and decided to Forgive his captors. He visited Japan as an ambassador of peace and made it a point to visit his captors. In 1998, he ran a leg of the Olympic Torch relay for the Winter Olympic Games in Nagano, Japan.